Highly maneuverable. Great for tight spaces indoors and outdoor. Purchasing a scissor lift is an expensive endeavor but completely necessary in many industries. If you’re reading this article you obviously recognize the need to either upgrade your existing scissor lift or invest in a new model altogether. This article will cover three fantastic electric self-propelled scissor lifts by Genie Industries: GS-3232 (38 feet), GS-2632 (32 feet) and the GS-1930 (25 feet). This article is packed with information such as: Photos, manual, brochures, specs, videos and of course, factual information about scissor lifts and the specific Genie models we’ve mentioned. Ultimately, you need to determine what your needs are so you can choose the right lift for your business. All three of these models are exceptional as far as build quality, safety, reliability and overall features are concerned. Safe, reliable, well-engineered and designed with practical features. An important point to mention before we get started is that when you purchase any Genie scissor lift you get around-the-clock support —24 hours a day, 365 days a year — and you should, because these are expensive products. You will find many charts and photographs relating to the GS-3232, GS-2632 and the GS-1930 throughout the article. For detailed information on each model, skip to the the 2nd half of the article. We live in a world where time is our most precious commodity, which is why everything can be purchased online. A scissor lift is not much different than purchasing a lawn mower online. Honestly, the process is exactly the same. The only difference with purchasing heavy equipment such as the Genie GS-3232 is that you’ll have to schedule the time of delivery. When you buy a small item online they just drop it off at your home or condo. In this case, the delivery company will ship the scissor lift to your business location and someone will need to sign for it. At the end of the day, these are highly durable and proven products that will be secure and safe when they are delivered. The most significant reason to purchase online is to save you time. I don’t know about you, but the older I get the less time I have to run around the city in order to buy something. I value my time more than anything else and I can only assume that so you do as well, which is the reason why I wrote this guide. Great Design : Intuitive to operate and straightforward to service. Tools are not without their limitations, and unless we can work our way around them, even the simplest of situations can become very frustrating. Suppose you want to temporarily reach an otherwise inaccessible area — usually due to its elevated height — but you won’t be able to do it with any type of ladder available in the market. Setting up a stationary elevator is also out of the question because it would be too expensive and most importantly — because it would be rendered useless once the task is completed. So instead, what you need is some sort of intermediate structure that can lift both, operators and their tools all while being mobile, cost-efficient, and easy to set up. Fortunately, this is exactly where aerial work platforms (AWPs) come into play. They’re also known as aerial devices or elevating work platforms (EWPs), and they’re mostly designed to provide easy and temporary access to unreachable areas — for the purposes of emergency situations, construction work, and general maintenance. The GS-3232 is engineered with excellent features for your business needs. There are several types of AWPs available and we will provide a general overview of them all. However, we’ll focus almost exclusively on scissors lifts, and in this article, you will learn all about their general and technical specifications, intended uses and applications, and safety regulations. Last, but not least, we’ll also give you an extensive and comprehensive overview on one of the leading AWPs manufacturers in the market, as well as objective reviews on their most popular products. As promised, let’s start with a brief overview on AWPs. Now, technically speaking, an AWP is any kind of mechanized access platform which can support light to medium weights — usually no more than 1,000 kilograms – and can be easily set up and handled by one single operator. They’re not considered as elevators because they’re mobile, and they’re not considered as cranes because of their maximum weight capacity limitation. Some AWPs are also equipped with a variety of task-specific accessories, such as electrical outlets, pressured water cannons, carrying frames, and compressed air connectors. For simplicity purposes, we’ll divide them into two main categories: AWPs by their lifting mechanism, and AWPs by their motive mechanism. Before even considering which type of AWP you’re going to deploy in the work-site, it’s really important that you first understand all of the many specifics of the project at hand. Will it be an indoor project or an outdoor one? Will I encounter a considerable slope? How high will I need to reach? Will I need to move in both vertical and horizontal directions? Will I have to maneuver in really tight spaces? Etc. In addition to all these factors, it’s crucial to determine how the AWP will move in-and-out – and also around – the work-site. These structures are usually propelled by a handful of different drive systems, and their work platforms also employ different types of elevating mechanical systems – not to mention that all these different builds will also reflect in the product pricing and market availability. But don’t worry, before we move on to the next chapter, you’re going to have all of the relevant information that will help you make a wise and informed decision. Back in the day, aerial devices were used almost exclusively in orchards, which is why they’re now commonly referred to as cherry pickers. These lightweight platforms are frequently powered by electricity. They consist of a series of jointed sections which the operator can control both vertically and horizontally, to position the platform in a variety of different directions. The fire apparatus is one type of aerial device widely used by firefighters, which is usually equipped with a piped water supply and a water cannon to help them in their job. To wrap it up, most aerial devices will excel in outdoor scenarios where there’s more room for maneuvering and where the noise levels won’t be an issue around the work-site. For example, fruit orchards, window cleaning at small buildings, wall and mural painting, firefighting efforts, light maintenance of electrical transmission lines, and more. 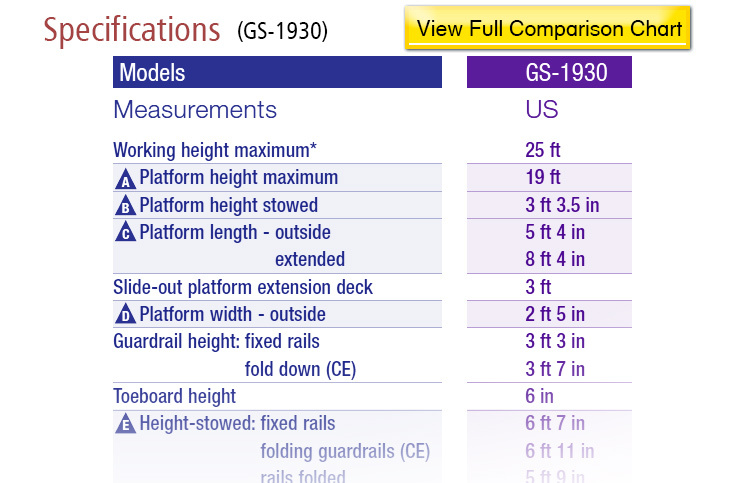 GS-3232 (38 ft), GS-2632 (32 ft) and the GS-1930 (25 ft). This type of aerial work platform uses a scissor mechanism – also known as a pantograph – which consists of a series of linked and folded supports built in an X-like pattern. This design limits the platform to move exclusively in the vertical direction. In order to elevate the structure, the operator applies pressure to the outer part of the lowest lift support, which then stretches the cross-like pattern in an upward movement. Depending on the type of power system used for elevation, no extra effort is required to lower the platform. Instead, most hydraulic and pneumatic scissor lifts are equipped with manual release valves – fail-safe mechanisms which enable the operator to return to ground level by simply releasing the pressure from the platform. Watch the video below — It’s excellent and will give you a wonderful overview of the Genie GS-3232. Even though both the hydraulic and pneumatic systems were pretty popular back in their origins, nowadays, virtually all makes and models are starting to turn to the electrically propelled lifts, with electronic on-board circuits. By definition, all AWPs must be mobile because they are designed for temporary projects, and there are three main ways to achieve this mobility – without losing the ease of operation. These smaller, non-powered AWPs are light enough to be moved, wheeled, towed, or otherwise transported – and they usually fit in a standard doorway. These platforms work best at indoor, light maintenance tasks, such as bulb changing, roof cleaning and/or varnishing, wall painting, and other home decor light services. Usually, they will always be the smallest (and cheapest) options available in the market. Arguably, the most popular type of drive mechanism among lifts in general, especially when it comes to scissor lifts. Just like the name implies, these work platforms are capable of driving themselves around the working site (in most cases, though, they are transported in-and-out of the different working sites, for safety compliance and also for economic reasons). Self-propelled lifts make use of electrical, gasoline-fueled, and hybrid mechanical systems. Electrical lifts are the quietest of them all, and are best suited for indoor uses, gasoline-fueled lifts are generally louder and slightly more polluting, so they excel at outdoor applications, while hybrids are especially common in projects which require both indoor and outdoor needs. Mounting a lift on top of a vehicle provides both mobility and stability – by using outrigger stabilizers. Preferred vehicles for this are standard trucks and flat-back, pick-up trucks (commonly known as self-drives). They’re not extremely popular, but these lifts can handle advertisement work like no other platform can. Replacing billboards, LED signs, or any other kind of publicity elements is made quickly, and hassle-free. Why Do You Need A Scissor Lift? At first glance, the multiple benefits of having a scissor lift at your disposal might be a little hard to grasp. 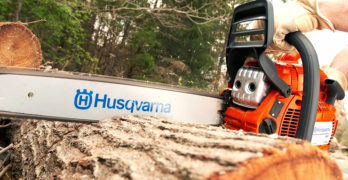 These platforms are certainly not your garden-variety type of tools and, as such, they should be explained and reviewed with detailed consideration before purchase. After all, no one wants to get stuck with an expensive industrial structure, just because of a rushed and uninformed decision, which didn’t suit the needs of the project at hand. And what better way to fully appreciate the many facets of a scissor lift, than like the days of old. Make arrangements for a gladiator-style dispute against two of its fiercest rivals in the industry, the portable ladder, and the scaffolding ladder. The last one standing will be the one with the most pros and the least cons. Shall we begin? The portable ladder makes a strong and versatile contestant. Coming with a variety of self-supporting and non-self-supporting models, these ladders are cheap, easy to use, easy to store, and are great for both indoor and outdoor applications. The scissor lift, however, provides the operator with a large working platform, the lift itself rests motionless on its four wheels, and it leaves nothing to be desired when it comes to maneuverability and ease of use. In this duel, the scissor lift emerges as the winner. It can reach as high as most extension ladders, supports more weight, and is much safer than any ladder around (even with all accessories), all while being equally portable and relatively small. Yes, ladders are cheaper. But we’re not talking about homeowner solutions here where – granted – these platforms would just be overkill. Scissor lifts are big toys for the big players. Scaffolding ladders present a tougher challenge. They’re just as safe to work on, their platforms are just as large (even for more than one operator), and they excel at outdoor applications. But the choice is quite simple really, scissor lifts can perform all of these tasks in precisely the same way – if not better – with one huge bonus: ease of transportation. Remember that scaffolding ladders and/or towers must be previously set up to use and, if needed elsewhere in the work-site, they must be disassembled, moved, and reassembled. With a scissor lift, you can just climb on up, work, finish, climb back down, and relocate, simple as that. And so, the scissor lift emerges as the undisputed victor. Quickly gaining popularity among their kind, the electricity-powered scissor lifts are arguably the most versatile type of platforms currently available in the market. Ideal for both indoor and outdoor uses, their compact size allows operators to maneuver them in really tight spaces. In addition, most lifts provide great weight capacity along with a spacious working platform, all while emitting relatively low noise levels. Simply put, these lifts are designed to optimize productivity in the workplace. Granted, these platforms are expensive, but make no mistake, your ROI will happen much sooner than you anticipate it. Here are some examples. Suppose you buy a brand-new, $40K, electric scissor lift. Your company already has some contracts to work on, and the lift quickly makes its way throughout the different work-sites. You’re not only saving on the countless of hours of optimized workforce productivity but also, by following a superior safety standard, you are not exposing your company to compliance fines, lawsuits, contract suspensions, or even worse. Your workforce safety and physical integrity are simply way too invaluable to gamble with. In addition to that, when you have no contracts running or your lift is done with its work, you can always place it for rental, which is a booming business all over North America. The more you can optimize your equipment total up-time, the sooner you will achieve your return on investment. 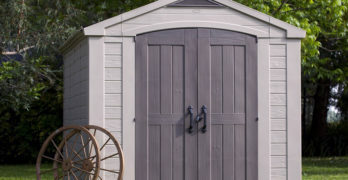 Small to medium-size, outdoor building maintenance. Used to elevate personnel or materials during film and television production. Replacing small billboards or POS signs. Reaching high shelves on warehouses. Lifting heavy materials. Light maintenance for electrical installations. Setting up and/or cleaning windows. Inspecting and/or cleaning roofs from the inside. Trimming bushes and small trees. Any other type of indoor maintenance where low emissions of noise are required. It’s Hard To Argue With All That Evidence. But Where Should I Start? As we have already explained above, there are several technical specifications that we should take into account before making a purchase. But ultimately, buying a scissor lift is really just like buying any other tool, and here is why. Full customer satisfaction is paramount, and clients need to know that the company behind the product will be there for them. So, when thinking about the highest quality standards, lowest product costs, unmatched customer service, and a long career striving for excellence, there really is just one logical option: Genie Industries. Founded in 1966, Genie Industries was born as Bud Bushnell acquired the manufacturing rights to a material lift, which principle was based on compressed air. Back at that time, all customers were stunned by the “Magic in the Bottle” used to propel the hoist up and down, and so, the name “Genie” was adopted. Such a vanguardist invention caused an increasing demand for these types of platforms over the next decades, and Genie Industries quickly established itself as a leading market player. Ever since 2002, Genie Industries became a part of Terex Corporation – a global manufacturer of AWPs and other major business segments such as construction and port solutions, headquartered in Westport, Connecticut, U.S.
Due to its unmatched market reputation, Terex Corporation decided to maintain the Genie brand under its AWPs segment. All of these platforms are designed to optimize resources with the highest market quality at the lowest possible costs, while providing top-notch customer service and post-sales support. In this segment, we’ll discuss extensively three of the most popular models available in the category, the Genie GS-1930, the Genie GS-2632, and the Genie GS-3232. But before that, it’s also important to talk about the general characteristics which can be found in all of the Genie Models. All scissor lifts have front-wheel drive and almost all of them also feature a zero inside turning radius, which makes them perfect for maneuvering in really tight spaces, such as congested construction sites, elevators, and narrow aisles. Operators can easily troubleshoot and make quick adjustments on-the-go thanks to the LED on-board diagnostics panel, which decreases total downtime. Service and engine maintenance are also made easier due to the swing-out battery box and power module, which allows a faster access to the components. Whenever you need to work on a sound-sensitive environment, such as office buildings, shopping malls, hotels, schools, or others, you need not worry. All scissor lifts are known for their low-emission and quiet performance. All scissor lifts are equipped with non-marking tires made of hard rubber, which prevent the lift from scuffing floors and also from picking up any particulates that could damage the surface. Whether indoors, or outdoors on firm and leveled surfaces, all scissor lifts are designed to provide full accessibility and functionality for all types of applications. In addition, all models have a slidable extension deck, to beat the limitations of their vertical-only movement. The length and maximum weight capacity of this deck vary with each model. Folding Guardrails with Platform half-height Swing Rate. Power Inverter for 230V/50Hz/800W (unavailable on the GS-1930). View the Genie Scissor Lift BROCHURE for a general overview on these products. 70 dB : Maximum sound level under normal operating conditions. Quiet, zero-emission electric operation ideal for sound-sensitive environments. Front-wheel drive and zero inside turning radius for maneuverability in tight spaces. Link stack is centered at full elevation and platform extension for machine rigidity. Forward-angled Hall-effect joystick for comfortable, accurate control. LED window on platform controls with battery level indicator, on-board diagnostics and more. Electronic control system allows for variable-speed DC motor for greater battery efficiency. Compact dimensions and folding guardrails — easily passes through standard single or double doors. 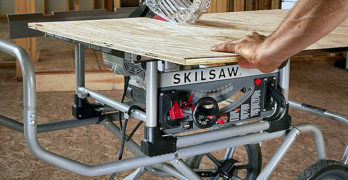 3 ft (.91 m) extension deck provides maximum platform work-space for workers and tools. Heavy-duty steel swing-out service trays for easy service access. ✓ View or download the SPECS BROCHURE comparing the: GS-2632, GS-3232, GS-1930. Arguably, one of the most beloved champions in the Genie family tree, our last model is also the one we will place a bit more under the spotlight, the Genie GS-3232. The numbers in the model make it fairly similar to the GS-2632 because its total width is also of 32″, but the main difference is in the vertical reach. The Genie GS-3232 can go all the way up to a stunning 32 feet high (actually, its total reach is 38 feet if we count the lift as a whole). Introduced in the market in 2007, the Genie GS-3232 is essentially a GS-2632 with an extra scissor stack (hence the 6ft difference). What this means is that both models use exactly the same chassis, wheels, motor, and component trays. This unique feature can come in real handy if you just recently upgraded your scissor lift to the Genie GS-3232, but still have several spare parts from the Genie GS-2632 lying around in your shop and, most importantly, if the guys in your service crew already know their way around the previous model. Automatic leveling hydraulic outrigger system keeps the lift level on sloped surfaces. Generally speaking and in terms of power and mechanical specs, the Genie GS-3232 is exactly the same as the Genie GS-2632. With an identical 24V DC power source, the lift is also front-wheel drive, equipped with the corresponding dual-brake system for extra safety, and an equal electronic motor controller. Its gradeability percentage also stands at 25%. Gradeability is described as the highest grade a vehicle can ascend maintaining a particular speed. The work platform holds the same maximum weight capacity of 500 lbs (227 kg) with a two-person occupancy. The deck in this model is exactly the same as in the Genie GS-1930 and the Genie GS-2632, meaning that it also extends up to an additional 3 feet (0.91m) laterally, and support up to 250 lbs (113 kg). The total vertical reach on the Genie GS-3232 is unrivaled, which is also why its work platform takes longer to fully elevate. It requires 55 seconds to find its way up to its maximum 32 ft height, and it takes 28 seconds to return to ground level. Designed with a comfortable & accurate forward-angled Hall-effect joystick. the lift on uneven ground (up to 5º side to side) before elevating the platform. Just a few lines above, we stated that the lift could not travel when its platform was up at a height superior to 22 ft. While this is technically true, it doesn’t mean that the lift cannot function between 22 feet to 32 feet of height, but it does mean that you necessarily have to engage the outrigger leveling system. Ideally – and also for safety reasons – when you know you’re going to work at these heights, you should engage the outriggers BEFORE elevating the platform. There are four outriggers in total, that will continuously hunt for a hard surface to level onto and once their four lights turn green, you’re good to go up to the maximum height of 32 feet. From front to back, the maximum achievable leveling is 3 degrees. From side to side, the maximum achievable leveling is 5 degrees. When you decide to lower the platform or drive away, you need to disengage all four outriggers, as the control system won’t let you do anything else so long as the outriggers keep contact with the ground. Click image to see the full chart. The Genie GS-3232 can easily achieve the same tasks as the Genie GS-1930 and the Genie GS-2632, and of course, it can do so much more. This model is ideal for mid-range reach in really narrow spaces and is one of only a few other lifts capable of working in retail shops, larger construction sites, industrial maintenance applications, parking garages, and most importantly, terrains which are not completely leveled. Emergency stop at both platform and ground controls. AC power to platform. Can be used outdoors when driven on flat surfaces. Electric scissor lift (24V DC). Zero emissions. 39″ (1 m) roll-out platform extension. High angle steering for excellent maneuverability, comfort and safety. Folding rails with half-height swing gate. Universal 20 amp smart charger. ✓ View or download the MANUAL for the Genie GS-2632 slab scissor lift. Our second guest is the Genie GS-2632. Following our previous rule of thumb, let’s analyze the numbers in the model. The work platform on this particular lift can stretch up to a maximum of 26 feet when fully elevated and the total width of the structure is of 32-inches. This model — just as all other Genie lifts — is equipped with the same 24V DC power source, installed on a swing-out tray for easy service and maintenance. Genie’s World Charger, allows the operator to quickly recharge these batteries, regardless of the country’s particular voltage. Simply switch the input values, and you’re good to go. Can be used outdoors on firm, level surfaces. The mechanical specs are the same as with the Genie GS-1930. Front-wheel drive — also hydraulically driven, with the same dual-brake system, consisting of a hydraulic lined manifold on one hand, and of a multi-disc, rear-wheeled, hydraulic brake on the other. The GS-2632 also holds a gradeability of 25%, which means that as long as you’re inside those ranging parameters, the braking system has got your back. Additionally, this model also has the same electronic motor controller, which optimizes the energy consumption and — ultimately — extends the lift’s total lifetime to a maximum. The work platform also holds a maximum weight capacity of 500 lbs (227 kg) with the same two-person occupancy. The deck in this model is exactly the same as in the Genie GS-1930, meaning that it also extends up to an additional 3 ft (0.91m) laterally, and support up to 250 lbs (113 kg). Due to its more extended reach, the work platform in the GS-2632 takes 28 seconds to achieve a fully elevated state, and 24 seconds to go all the way down. The operating speeds in the GS-2632 are fairly similar to the ones in the GS-1930. Being slightly heavier at 4,413 lbs (2,002 kg) this model can travel at a maximum of 2.2mph (3.5km/h) with a stowed platform, and up to a maximum of 0.5mph (0.8km/h) with a fully elevated platform. There is definitely an added value in this model which provides greater versatility in the work-site – its longer reach of seven extra feet, compared to the GS-1930. Now, in addition to being able to work inside those same tight and crowded spaces, just think of the new possibilities. Reforming cathedrals and other antique buildings with higher-than-average ceilings and rooftops. Or perhaps, painting walls, cleaning windows, or performing light and medium maintenance tasks on small buildings of up to three-stories high. The Genie GS-2632 is definitely a step up the ladder. Alongside the GS-1930, the GS-2632 also fulfills the following standards compliance: ANSI A92.6. | CSA B354.2. | CE Compliance. | AS 1418.10. On-board diagnostics allow you to troubleshoot on the go; make adjustments anytime. 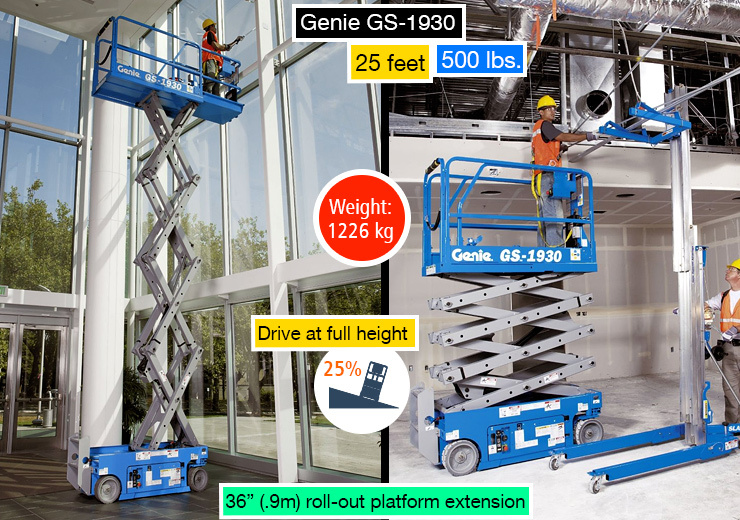 If you require a scissor lift for tight spaces then you’ll appreciate the nimble maneuverability of the Genie GS-1930. Perfectly suited for indoor and outdoor applications with firm, flat and level surfaces, such as: construction, maintenance, installation and warehouse environments. 36” (.91 m) extension deck Lanyard attachment points / Electronic horn. ✓ View or download the MANUAL or the SPECS BROCHURE for the Genie GS-1930. Before we begin discussing this model, here is a fun fact which we personally did not know about. The numbers following the GS in all of the Genie models represent the height (in feet) of the work platform and the width (in inches) of the lift itself. In this case, the Genie GS-1930 work platform stands at 19 feet when fully extended, and the lift itself measures a compact 30 in wide. The more you know. This model falls under the Genie category called “mini-machines” because it’s designed to fit into any construction elevator, and also in really tight spaces around the work-site. 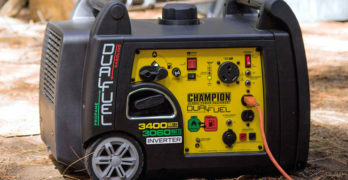 Equipped with a 24V DC power source – consisting of four 6V 225Ah smaller batteries – on a swing-out tray for easy access and built to be charged under different voltages, making it a global product, thanks to its World Charger. Emergency stop at both platform and ground controls. The lift is a front-wheel drive — hydraulically driven — and its brake system has a unique feature worthy of mentioning. The system is composed of two braking methods. First, a hydraulic lined manifold on an open, centered valve and second, a wet, multi-disc, hydraulic brake on the rear wheels. The latter one is a perfect, fail-safe mechanism which cannot be overrun — simply put, if you were to slide off a hill or a slope, the accelerated pressure drop on the hydraulic system would automatically force the brakes to come on, EVERY. SINGLE. TIME. This is a neat little safety feature. This lift relies on an electronic motor controller for energy efficiency purposes. In other words, if you want to go up slow, the motor will only work at that exact power which is required by your command, as opposed to some other mechanisms where the motor is constantly running at the same speed, sending oil back and forth and even, overheating the entire system. Moving on to the work platform, its measurements are 29 in by 64 in (0.74 m by 1.63 m), its maximum weight capacity stands at 500 lbs (227 kg) with a two-person occupancy. Equipped with a slidable deck at two positions, medium, and full-out. The deck can extend up to an additional 3 ft (0.91m) laterally, and support up to 250 lbs (113 kg). The platform takes 16 seconds to go all the way up, and 22 seconds to return to its ground level. Did you know that all of Genie scissor lifts can travel both when the platform is stowed, as well as when it’s fully elevated? This lift can travel up to a maximum of 2.5mph (4.0km/h) with a stowed platform, and up to a maximum of 0.5mph (0.8km/h) with a fully elevated platform. Its total gradeability is 25% and the lift weights a total of 2,702 lbs (1,228 kg). Because of its relatively small size, the Genie GS-1930 is ideal for all of your indoor working needs. This little guy fits in even the tightest of spaces, such as single doorways, and tiny construction sites elevators. This model – just like all Genie electric scissor lifts – is extremely quiet and can be used inside hotels, schools, offices, restaurants, hospitals, and other crowded spaces without the need to vacate them. You can control the lift by either mounting on top of the platform or by holding the control stick outside of the equipment. Last, but not least, this Genie model fulfills the following standards compliance: ANSI A92.6. | CSA B354.2. | CE Compliance. | AS 1418.10. Over the years the company has consistently engineered products for industries that demand the highest standards of craftsmanship and dependability. As you know, running a business is unpredictable enough, faced with constant challenges and problems are to be expected on large-scale projects and day-to-day operations. Quality and reliability are two essential factors you should expect when investing in commercial equipment, which is precisely why purchasing a Genie scissor lift is a smart choice. A scissor lift from Genie will ensure that your employees can focus on productivity and getting their tasks accomplished. These scissor lifts are proceeded by an extended history of quality and durability, proven to live up to your expectations. All of these scissor lifts are easy to control and maneuver in tight spaces around your work-site. 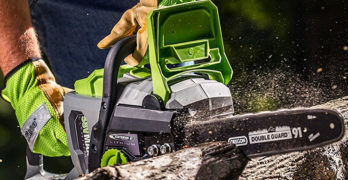 It’s impressive at how compact these machines are, but thankfully, they provide workers with an ample work-space that is both functional and comfortable — not to mention they are quiet and ideal for use indoors and outdoors. I hope you found this guide useful and informative. My focus was to provide you with the information you need in order to determine which scissor lift is right for you and your growing business. At the end of the day it’s up to you to determine where to spend your money. At Chainsaw Journal, we do the research so you don’t have to because we understand that your time is precious and you probably don’t have the spare hours to dig up all of the necessary facts you require to make a decision. Learn more about Genie scissor lifts by visiting their website.